The Monday night jazz series launched by curator and musician James Keepnews at Quinn’s in Beacon, New York, has been extended into 2014 with the announcement of an exciting string of shows for January, February, and March. “These sessions have sought to create a new model in creative music presentation, expanding this music to a new region and a new audience eager to hear more,” says Keepnews. 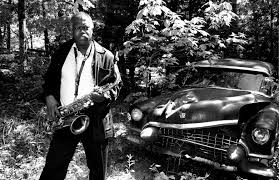 The next installment, on January 6, features Poughkeepsie’s legendary multi-instrumentalist Joe McPhee, who will perform in a duo with bassist Dominic Duval. Future dates include the Paul Kogut Trio (January 13), Matt Keegan/Francois Grilliot/Dave Miller (January 20), the Mike Dopazo Trio (January 27), the Andrea Wolper Trio, featuring Michael Howell and Ken Filiano (February 3), Daniel Levin/Juan Pablo Carletti (February 10), Patrick Brennan/Cooper-Moore (February 17), the Kenny Wessel Trio (February 24), and Lou Grassi (March 3). Quinn’s is located at 330 Main Street in Beacon. Each Monday jazz session begins at 8pm and is presented with no cover charge, although donations for musicians are requested. For more information, call (845) 202-7447 or visit https://www.facebook.com/QuinnsBeacon.